Dr Andrew Wilson is a registered architect, architectural educator, and researcher with a Master of Architecture (Research by Design) from RMIT University (2001) and practice experience Victoria, Queensland and Germany. Andrew has teaching experience in the areas of ‘Technology and Science’ and ‘History and Theory’, as well as running architectural and urban design studios. He is committed to architectural culture, critical approaches to design learning and an open international cultural exchange with a focus on the Asia Pacific. Andrew Wilson's research is focused on Research by Design; architecture as a open question, urban and social space, architecture’s relationship with the city, and scales of regional operation. His work has been published in leading journals including Casabella and Architecture Australia. 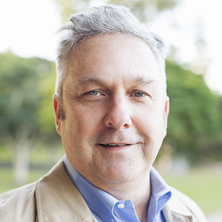 Wilson has contributed as a Chief Investigator to a competitive external research grant, lead by Professor John Macarthur from the Australian Research Council, a Linkage Grant for ‘Architectural Practice in Post-war Queensland (1945-1975): Building and Interpreting an Oral History Archive’. He has presented invited lectures and peer-reviewed conference papers in Japan, New Zealand and Australia. He was a JSPS Invitation Visiting Fellow at the University of Tsukuba (2011), and Visiting Foreign Research Fellow in 2012 and 2013. He has been invited as Visiting Scholar to KU Leuven, Belgium in the second half of 2014. He has curated architectural exhibitions and his own architectural work and collaborations have been exhibited at the Venice Biennale (2008) and in Australia. He regularly contributes as a critic to Architectural Review (London), Japan Architect, Architecture Australia and Architectural Review Australia. Andrew runs parallel modes of Research by Design including collaborative projects. Andrew has been involved in research looking at various aspects of the work of specific architects and contributions to a collaborative team that has resulted in exhibitions, public fora, publication and website outcomes. The ARC Linkage grant ‘Architectural Practice in Post-war Queensland (1945-1975): Building and Interpreting an Oral History Archive,’ has as research outcomes the exhibition Hot Modernism to be hosted by the State Library of Queensland and publication of the same title. Andrew Wilson is Invited Research Fellow, KU Leuven, for the second half of 2014. Wilson, Andrew (2017). Cultural exchange: production of architectural knowledge between Australia, Japan and the United Kingdom. In: Architecture Connects. Architecture Connects. Association of Architectural Educators 4th International Peer Reviewed Conference, Oxford, United Kingdom, (172-177). 6–9 September 2017. Leach, Andrew and Wilson, Andrew (2016). Gold on the sand, gold on the door: E.J. Hayes, you know where. In: AnnMarie Brennan and Philip Goad, Proceedings of the Society of Architectural Historians, Australia and New Zealand: 33, Gold. Society of Architectural Historians, Australia and New Zealand (SAHANZ) Annual Conference, Melbourne, Australia, (372-379). 6-9 July 2016. Wilson, Andrew (2016). The Education of Geoffrey Pestorius, Queensland Architect. In Leni Hoffmann and David Pestorius (Ed. ), G.W. Pestorius: Eblin Drive and Beyond (pp. 72-83) Vienna, Austria: Verlag Für Moderne Kunst. Preliminary research has been conducted with a focus on regions in Australia and Japan, the impact of aging populations and role agriculture, aquaculture, forestry and tourism might play to frame innovative architectural, landscape and infrastructural strategies. Exploration of innovative approaches to social and civic space networks for Regional Centres. This research will aim to consolidate understanding of the architectural culture of this period, building on research conducted over the past decade. Topics could involve investigation of architects whose work has been overlooked, or broader investigations of the local architectural culture. Moulis, Antony and Wilson, Andrew University of Queensland Centenary Architecture Campus Map. St. Lucia, QLD, Australia: School of Architecture, The University of Queensland, 2010. Birrell, work from the office of James Birrell. Edited by Andrew Wilson and John MacArthur Melbourne, Australia: NMBW Publications, 1997. Micheli, Silvia and Wilson, Andrew C. (2015). International influences in post-war Queensland: protagonists, destinations and models. In John P. Macarthur, Deborah van der Plaat, Janina Gosseye and Andrew Wilson (Ed. ), Hot modernism: Queensland architecture 1945-1975 (pp. 117-133) London, United Kingdom: Artifice. Wilson, Andrew C. (2014). The Great Hall, University of Queensland. In Simon Anderson and Philip Goad (Ed. ), Augmented Australia: Regenerating Lost Architecture 1914-2014 (pp. 54-57) Barton, ACT, Australia: The Australian Institute of Architects. Wilson, Andrew (2012). Birrell, James. In Philip Goad and Julie Willis (Ed. ), The encyclopedia of Australian architecture (pp. 84-85) Port Melbourne, VIC, Australia: Cambridge University Press. Wilson, Andrew (2012). Donovan Hill. In Philip Goad and Julie Willis (Ed. ), The encyclopedia of Australian architecture (pp. 212-213) Port Melbourne, VIC, Australia: Cambridge University Press. Wilson, Andrew (2012). Hayes and Scott. In Philip Goad and Julie Willis (Ed. ), The encyclopedia of Australian architecture (pp. 320-320) Port Melbourne, VIC, Australia: Cambridge University Press. Wilson, Andrew (2012). Job and Froud. In Philip Goad and Julie Willis (Ed. ), The encyclopedia of Australian architecture (pp. 367-367) Port Melbourne, VIC, Australia: Cambridge University Press. Wilson, Andrew (2012). Kirk, Richard. In Philip Goad and Julie Willis (Ed. ), The encyclopedia of Australian architecture (pp. 384-384) Port Melbourne, VIC, Australia: Cambridge University Press. Wilson, Andrew (2012). Mainwaring, John. In Philip Goad and Julie Willis (Ed. ), The encyclopedia of Australian architecture (pp. 425-425) Port Melbourne, VIC, Australia: Cambridge University Press. Wilson, Andrew (2012). Simpson, John. In Philip Goad and Julie Willis (Ed. ), The encyclopedia of Australian architecture (pp. 628-628) Port Melbourne, VIC, Australia: Cambridge University Press. Wilson, Andrew (2012). m3architecture. In Philip Goad and Julie Willis (Ed. ), The encyclopedia of Australian architecture (pp. 421-421) Port Melbourne, VIC, Australia: Cambridge University Press. Wilson, Andrew (2011). Karl Langer's subtropical housing. In Andrew McNamara (Ed. ), Sweat: The Subtropical Imaginary (pp. 129-144) Brisbane, Australia: Institute of Modern Art. Wilson, Andrew (2009). Torbreck : Projections of Californian landscape and ultra-modern lifestyle. In Richard Francis-Jones, Lawrence Nield and Xing Ruan (Ed. ), Skyplane : form, technique, content (pp. 132-143) Sydney, Australia: UNSW Press. Wilson, Andrew (2008). California dreaming: Civic ambition and subtropical housing in postwar Queensland. In Miranda Wallace and Sarah Stutchbury (Ed. ), Placemakers: Contemporary Queensland architects (pp. 30-39) Brisbane, Australia: Queensland Art Gallery. Wilson, Andrew (2008). Controlled spirals in the post-war motorised city. In Ann Stephen, Philip Goad and Andrew McNamara (Ed. ), Modern Times: The Untold Story of Modernism in Australia (pp. 166-171) Melbourne, Australia: The Miegunyah Press. Wilson, Andrew (2008). Relational equilibrium, Amposta. In Shane Murray, Diego Ramirez-Lovering and Simon Whibley (Ed. ), ReHousing: 24 housing projects (pp. 44-49) Melbourne, Vic., Australia: RMIT University Press. Wilson, Andrew and Reilly, Angela (2005). Reflections on an enduring partnership. In Andrew Wilson (Ed. ), Hayes & Scott : post-war houses (pp. 2-17) St Lucia, Queensland: The University of Queensland Press. Wilson, Andrew C., Tsukamoto, Yoshiharu, Kaijima, Momoyo and Orkland, David (2012) Strangely orthodox. The Japan Architect, 85 4-6. Wilson, Andrew (2011) Life cycle: Torbreck. Architectural Review Australia, 122: 122-126. Wilson, Andrew, Yokokawa, Akari, Flutter, Nicholas and Marnane, Kali (2011) Amplifications [golden teeth]: urban space as outdoor museum. Place Lalla Yeddouna (Bin Lamdoun), Medina of Fez, Morocco, Fez River Rehabilitation Project. Wilson, Andrew (2010) Autumnal garden. 'scape: The International Magazine for Landscape Architecture and Urbanism, 2010 2: 10-10. Wilson, Andrew (2010) People Meet in Architecture: Venice 2010. 'scape: The International Magazine for Landscape Architecture and Urbanism, 2010 2: 10-11. Wilson, Andrew (2008) Le Corbusier: Art and architecture – a life of creativity. Artichoke, 2 22: 61-63. Wilson, Andrew (2007) Engaging with the flux: Spectres from the post-bubble city of Tokyo. 'scape: The International Magazine for Landscape Architecture and Urbanism, 2007 1: 38-42. Wilson, Andrew (2007) Concrete jigsaw. Houses, 58 84-90. Wilson, Andrew (2006) Air. Architecture Australia, 95 4: 62-69. Wilson, Andrew (2006) Q1 Podium. Architecture Australia, 95 4: 57-61. Wilson, Andrew (2005) Ten tributes to Birrell: Andrew Wilson. Architecture Australia, 94 2: 100-100. Wilson, Andrew, Bäumler Forster Studio, The Gap, Brisbane, Australia, . Wilson, Andrew C. (2013). Colour-theory and the houses of Hayes & Scott. In: Alexandra Brown and Andrew Leach, Open: The 30th Society of Architectural Historians, Australia and New Zealand (SAHANZ) Annual Conference. Society of Architectural Historians, Australia and New Zealand (SAHANZ) Annual Conference, Gold Coast, QLD, Australia, (711-722). 2-5 July 2013. Wilson, Andrew (2013). The Queensland house: local idiom. In: Professor Mitsuyasu Kato, Exploring Human Sciences: Leading Graduate Schools International Conference. Tsukuba Global Science Week 2013, Tsukuba, Japan, (52-52). 2-4 October, 2013. Wilson, Andrew, Yokokawa, Akari, Flutter, Nicholas and Marnane, Kali (2011). Amplifications [golden teeth]: Urban space as outdoor museum Place Lalla Yeddouna, A Neighbourhood in the Medina of Fez, Morocco International Competition Entry. In: UIA2011 TOKYO Japan Organizing Board, UIA2011 TOKYO Academic Program: Research Papers and Design Works. UIA2011 Tokyo The XXIV Congress of Architecture, Tokyo, Japan, (746-747). September 25-October 1, 2011. Wilson, Andrew (2011). Hayes & Scott and the horizontal house. In: Antony Moulis and Deborah van der Plaat, Audience: The 28th Society of Architectural Historians, Australia and New Zealand (SAHANZ) Annual Conference. Society of Architectural Historians, Australia and New Zealand (SAHANZ) Annual Conference, Brisbane, QLD, Australia, (1-10). 7-10 July 2011. Wilson, Andrew (2010). Karl Langer's subtropical housing: Greenbelt communities and usonian variations. In: David Nichols, Anna Hurlimann, Clare Mouat and Stephen Pascoe, Proceedings of the 10th Australasian Urban History, Planning History Conference. Green Fields, Brown Fields, New Fields Proceedings of the 10th Australasian Urban History, Planning History Conference, Melbourne, Vic, Australia, (622-632). 7-10 February 2010. Wilson, Andrew (2010). Toward a momentary representation of the idea of Australian architecture. In: Michael Chapman and Michael Ostwald, Imagining: The 27th Society of Architectural Historians, Australia and New Zealand (SAHANZ) Annual Conference. Society of Architectural Historians, Australia and New Zealand (SAHANZ) Annual Conference, Newcastle, NSW, Australia, (463-467). 30 June-2 July 2010. Wilson, Andrew (2009). Torbreck: Projections of mid-twentieth century Californian landscape. In: Julia Gatley, Cultural Crossroads: The 26th Society of Architectural Historians, Australia and New Zealand (SAHANZ) Annual Conference. Society of Architectural Historians, Australia and New Zealand (SAHANZ) Annual Conference, Auckland, New Zealand, (1-14). 2-5 July 2009. Wilson, Andrew (2008). Karl Langer's subtropical housing. In: AAANZ 2008 Annual Conference, Brisbane, Australia, (). 4-6 December 2008. Wilson, Andrew (2008). Relational equilibrium. In: Shane Murray, Diego Ramirez and Simon Whibley, reHousing: Proceedings from the UAL International Housing Conference 2006. re Housing: UAL International Housing Conference, Melbourne, VIC, Australia, (44-49). 5-8 October 2006. Wilson, Andrew and Young, Liam, Quaderns Housing Competition entry (2004), Barcelona and Amposta, Spain, . Wilson, Andrew, Watson House, Samford, Queensland, .